The Rt Hon John Battle KC*SG is a Fellow of Blackfriars Hall and a member of the Advisory Board of the Las Casas Institute. He was a Member of Parliament. From 1999-2001 he was Minister of State at the UK Foreign and Commonwealth Office and from 1997 to 1999 Minister for Science, Energy and Technology. From 2001 to 2007 he was the UK Prime Minister’s Envoy to the Faith Communities. In 2017, he was appointed Pro Chancellor at Leeds Trinity University. He is currently chairing a successful social enterprise business Bramley Community Baths, and working on local community based housing cooperative development in Leeds. Before entering Parliament, Battle was a leading anti-poverty campaigner and Director of Church Action on Poverty. 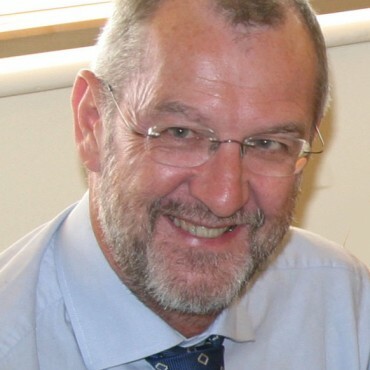 He is currently chair of Leeds Diocesan Justice and Peace Commission and chair of newly formed ‘Leeds Citizens’ and active in the local community anti-poverty campaigns in Leeds.Recent lectures include to the OECD, at the European Commission and at Oxford University. Select Publications: New Blackfriars, Political Theology and other journals. Contributor to a range of periodicals and newspapers.